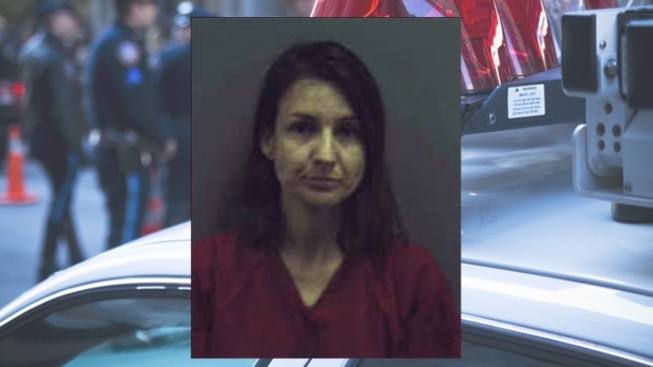 A Sterling, Virginia, woman received a sentence of 15 years in the death of her husband, a 25-year veteran of Metropolitan Washington Airports Authority police. Rosangela Spradling shot 52-year-old Cpl. Steven Spradling in a home in the 21700 block of Blossom Drive in May 2013, the Loudoun County Sheriff's Office said. Law enforcement officials confirmed to News4 there was a history of domestic dispute calls to the home but no arrests for physical violence. Senior Assistant Commonwealth's Attorney Gigi Lawless and Assistant Commonwealth's Attorney Angela Vernail asked the court to impose a sentence greater than the Virginia sentencing guidelines. "Our legal system cannot sanction vigilante self-help," Vernail said. "The facts showed a willful, deliberate, premeditated killing with malice," Judge Benjamin N. A. Kendrick said. He deviated upward from the Virginia sentencing guidelines, sentencing Rosangela Spradling to 10 years for voluntary manslaughter, five years each for two counts of discharge of a firearm in an occupied dwelling, and five years for shooting in the commission of a felony. manslaughter sentence, while the sentence for shooting in the commission of a felony was suspended. That works out to an active sentence of 15 years. The judge also imposed five years of supervised probation upon her release from prison.